David Ward-Steinman (November 6, 1936-April 14, 2015) received many national and state awards for his compositions and teaching, including the Bearns Prize from Columbia University; four BMI-SCA awards; First Prizes in the Phi Mu Alpha, SAI, and National Federation of Music Clubs composition contests; the Dohnanyi Citation and Outstanding Alumnus of the Year awards from Florida State University; the Outstanding Professor Award from the Trustees of the California State Universities and Colleges; and was a White House reception honoree in 1966. In 1970-72, Ward-Steinman was the Ford Foundation composer-in-residence for the Tampa Bay area of Florida. In 1986, he was composer-in-residence at the Brevard Music Center in North Carolina. He was Senior Fulbright Scholar to Australia in 1989-90. He was recently listed among “100 Distinguished Graduates” of Florida State University by the FSU Alumni Association on the occasion of the centennial celebration of the university in 2009. Major commissions include those from the Chicago Symphony Orchestra, Joffrey Ballet (New York), San Diego Ballet, California Ballet, MTNA, NACWPI, American Harp Society (San Diego), Camarada Chamber Music Ensemble, and the San Diego Symphony. Gregory Peck and Vincent Price have appeared as narrator in four different performances of Ward-Steinman’s oratorio The Song of Moses, commissioned by San Diego State University. The work is the subject of a recent doctoral dissertation by Bard-Alan Finlan at the University of Southern California (2010). CD recordings of Ward-Steinman compositions and performances as a pianist appear on Harmonia Mundi, Helicon Records, Kleos Classics, Orion Marquis, MOVE Records (Australia), ABC Classics (Australia), and ERMMedia, and there is a major, recent retrospective CD on Fleur de Son Classics. His music has been performed in all the major cities of the U.S. and on every continent except Africa and Antarctica. His teachers included Darius Milhaud (Aspen), Milton Babbitt and Aaron Copland (Tanglewood), Nadia Boulanger (Paris), and Edward Kilenyi (piano, FSU). Most recently, Ward-Steinman completed a major Wind Ensemble commission, Singapore Sonorama, and a two-act musical, Sheridan!, with librettist Robert Hatten, based on the life of Irish playwright Richard Brinsley Sheridan (author of The School for Scandal). He performed frequently as an accomplished jazz and contemporary music pianist and was also an avid pilot. 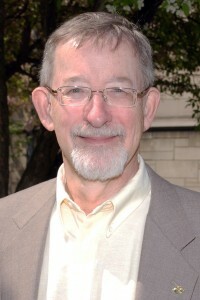 He was a Distinguished Professor (Emeritus) and former composer-in-residence at San Diego State University, where he initiated and directed the Comprehensive Musicianship Program and New Music Ensembles before joining the Indiana University Jacobs School of Music staff in 2004. He is the author of Toward a Comparative Structural Theory of the Arts, co-author of Comparative Anthology of Musical Forms (2 vols. ), and author of numerous articles in various journals, a chapter on David N. Baker’s compositions for his forthcoming biography, and of over 50 published compositions.